Cocktails with coconut cream and milk are like a dessert in a glass. 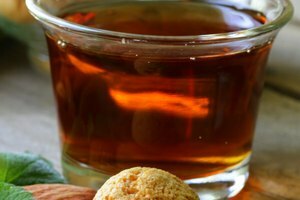 Even though they are scrumptious and easy to make at home, most people give them a pass because these drinks are laden with fat and empty calories. Coconut-flavored vodka imparts the same tropical essence into the drinks without all the extra fat and calories. Who said pina colada time? When combined with various fruit juices and poured over ice in a tall glass, coconut vodka makes a cool, bracing cocktail. For a light version of a pina colada, combine a shot or two of the flavored vodka with pineapple juice and ice. 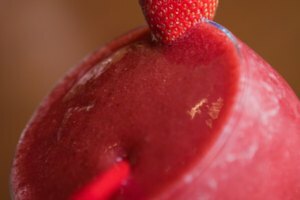 Substitute pineapple juice with fresh or frozen strawberries for a strawberry colada. 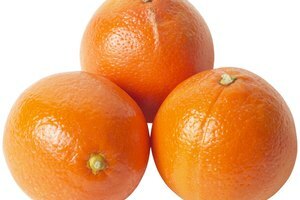 Mix it with orange and cranberry juice and add an orange slice for a Calypso Cooler. If you prefer fizzy cocktails, jazz up lemon-lime soda and lime juice with a shot of coconut vodka and add a handful of crushed ice. Love mojitos? 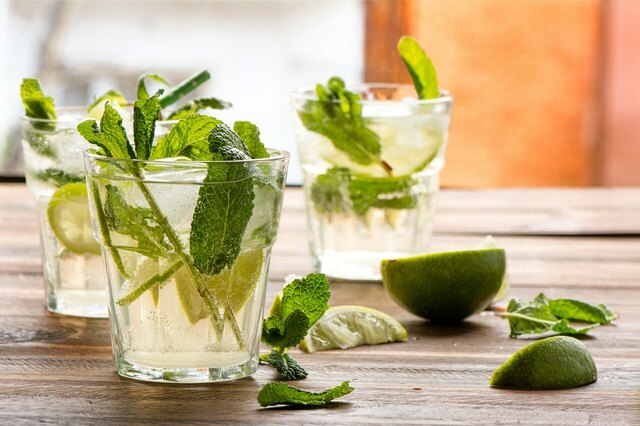 Crush mint leaves and one wedge of lime into a tall glass, add caster sugar, fill the glass with ice, pour two shots of coconut vodka and soda water; garnish with another wedge of lime and fall in love with this mojito variation. Try coconut vodka instead of rum in some of your favorite rum cocktails and explore new flavors and combinations. Blend coconut vodka, triple sec, cranberry juice and ice in a cocktail shaker, strain into a martini glass and perch a lime wheel on the side for a Caribbean Cosmo. Muddle kaffir lime leaves with sugar in the bottom of a cocktail shaker, add a shot of coconut vodka, lime juice and ice, shake and strain into a sugar-rimmed martini glass for a tart cocktail. Try coconut sugar instead of white sugar to give an extra oomph to the drink. An eye-catching azure colored Tahitian martini is a combination of coconut vodka, pineapple juice and blue Curacao. Instead of a conventional dessert to end a meal, try a sweet coconut vodka drink. Chocolate lovers can mix coconut vodka, Irish cream liqueur, white crème de cacao, fresh cream and ice in a shaker and strain into a chilled glass garnished with a chocolate swizzle stick. Skip the fresh cream or substitute with Greek yogurt to cut calories. To recreate a childhood favorite, make a coconut push-up cocktail with coconut vodka, vanilla liqueur and orange juice and sprinkle some toasted coconut on top for extra taste. German chocolate cake fans enjoy the flavors created by combining Irish cream, white crème de cacao and coconut vodka and serving the mixture in a martini glass rimmed with a mixture of sugar, cocoa powder and freshly shaved coconut. Store coconut vodka in the freezer or refrigerator for maximum flavor. Since it is one of the more delicately tinged varieties of flavored vodkas, choose other ingredients carefully and in limited quantities to avoid overpowering the coconut taste. 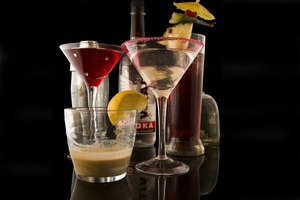 Using strongly flavored cocktail mixers, such as sweetened cream of coconut, will mask the taste of the vodka.